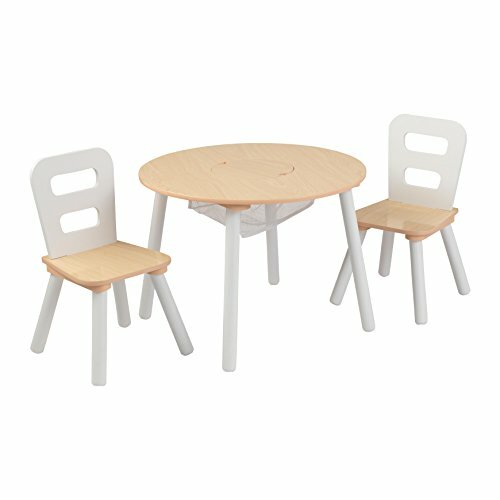 Our Round Table & 2-Chair Set is a sturdy furniture set that also provides plenty of convenient storage space. "Convenient" is the key word here - kids just have to lift up the lightweight middle piece and they can push all of their toys into the attached net. It's just like magic! Features include.